Click on each tab to learn more about our services. 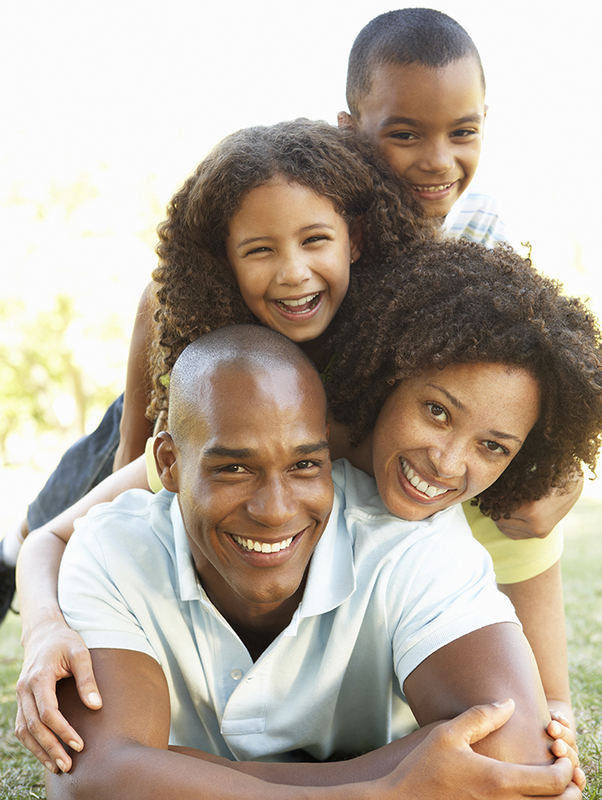 Creating generations of smiles starts with excellent care for your children’s teeth. We want you AND your kids to have a positive first experience at our office. We will be kind, gentle, and understanding so that we can help promote a lifetime of successful healthy oral hygiene for your child’s smile. For our patient’s safety, our office uses digital dental x-rays. Digital dental x-rays have very low doses of radiation, producing just a fraction of what you are exposed to in other imaging procedures. A routine examination with four bitewing x-rays exposes you to roughly the same amount of radiation you will experience during one to two hours on an airplane. Dr. Carter provides composite resin and amalgam dental fillings to repair tooth decay and restore optimal oral health. Because appearance is important, Dr. Carter prefers to repair cavities with composite resin, a metal-free, mercury-free material. Composite resin can be tinted to match your tooth, so it will look like natural tooth structure. If you’re self-conscious about cracked, broken, decayed, or worn teeth, we can bring back your healthy, natural-looking smile with dental crowns (also called caps). A crown can return structure, strength, and function to a tooth with extensive decay or damage. To maintain a fully white smile, we recommend all-ceramic crowns. Our precise color-matching system allows us to find the right shade of porcelain to blend with your natural tooth color. Porcelain crowns are also extremely durable and long lasting. These benefits make them popular with dentists as well as patients. A deep cavity, traumatic injury, or tooth fracture can make the root canal of your tooth susceptible to bacterial infection, which can kill the tooth, stimulate increased blood flow, and create pressure within the tooth. If you see a dentist in the earliest stages of this condition, the tooth may be saved with a root canal. Otherwise, it should be extracted and replaced with a prosthetic. The most time-tested solution to avoid gum disease is regular, six-month checkups and professional dental cleanings. Our team can evaluate your brushing and flossing techniques, and we may suggest special mouth rinses to reverse early-stage gum disease. We also offer scaling and root planing to remove plaque buildup below the gum line. Our goal is to help you reverse the effects of gum disease, and then protect you from recurrence. Missing teeth impair oral function, make a person look older, and can cause bite misalignment and contribute to jawbone deterioration. If you’re looking for a dependable, conservative solution to replace missing teeth, consider dental implants. Dr. Carter often recommends dental implants to replace missing teeth. A dental implant consists of a small titanium screw placed into the jaw. After a single crown or multiple-tooth prosthetic is secured to the screw(s), dental implants function like natural teeth. Full and partial dentures offer patients with missing teeth a new, solid smile. Missing teeth can cause bone loss, bite shifting, problems with speech, difficulty chewing, and reduced self-confidence, among other problems. Dr. Carter can help you regain optimal oral health and function with full or partial dentures. Occasionally a cavity is too big for a filling to repair, yet not quite large enough for a full crown. In this case, Dr. Carter might suggest an inlay or onlay to restore function, shape, and beauty to structurally compromised teeth. A skilled ceramist in a dental lab will create your restoration from quality dental materials. Inlays and onlays can also replace old amalgam fillings to return a smile’s all-white beauty. Facial injury, tooth decay, and dental disease can destroy a smile. 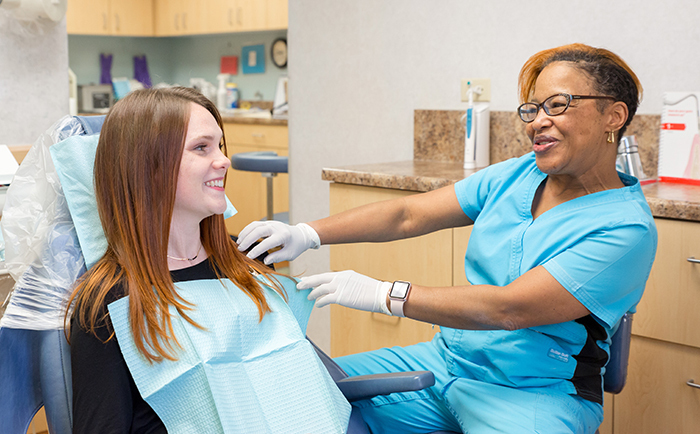 If your smile is in need of complex dental care, Dr. Carter may recommend a combination of restorative and prosthetic dental services to return total oral health, comfortable function, and beauty. Dr. Carter will focus on restoring your teeth, gums, and oral function by first attending to the underlying cause of your dental problems. She may suggest a combination of restorative and cosmetic dentistry, or possibly dental implants, to return your full oral health. If you have frequent headaches, earaches, pain in your face, neck, or jaw… or if your jaw joints pop or don’t open and close fully, you may suffer from TMJ dysfunction. This condition is commonly caused by stress, teeth grinding, or an improper bite. In many cases, Dr. Carter can alleviate TMJ dysfunction with a custom oral appliance. It will also hold the TMJ joints in proper alignment while you sleep. This will allow your jaw muscles and nerves to relax, and in turn, your symptoms will subside. Some patients react to stress by grinding their teeth unconsciously during the day or, more commonly, while sleeping. The constant pressure and motion can harm teeth, as well as muscles and tissues in and around the jaw. The condition, known as bruxism, can be remedied with a nightguard. A thorough evaluation will allow us to check your teeth, tissues, and muscles. If we determine that you suffer from bruxism, we’ll create a nightguard to prevent grinding and clenching. Many types of nightguards exist, and patients react differently to the various styles. If one appliance does not work, another may. In many cases, simply wearing a nightguard will eliminate the problem. However, if the condition persists, we can prescribe alternative therapies to correct the issue. Snoring and sleep apnea can make you feel irritable, tired, and unfocused during the day. If you stop breathing for 10 or more seconds repeatedly while sleeping, you might have obstructive sleep apnea. Dr. Carter can alleviate snoring and sleep apnea in some cases. Snoreguards and other appliances are comfortable so they provide a conservative, simple solution for many sleep apnea patients. Comfort is vital to your positive, rewarding dental experience. Patients often comment that Dr. Carter gives gentle anesthetic injections, and we offer creature comforts in the dental chair, such as blankets, heated neck pillows, music, and TV. For patients who suffer from dental anxiety or don’t respond well to traditional numbing agents, we offer oral sedation. An oral sedative allows a patient to thoroughly relax during dental procedures. For sedation dentistry, you will need to arrange a ride home after your visit, because the effects can last all day. 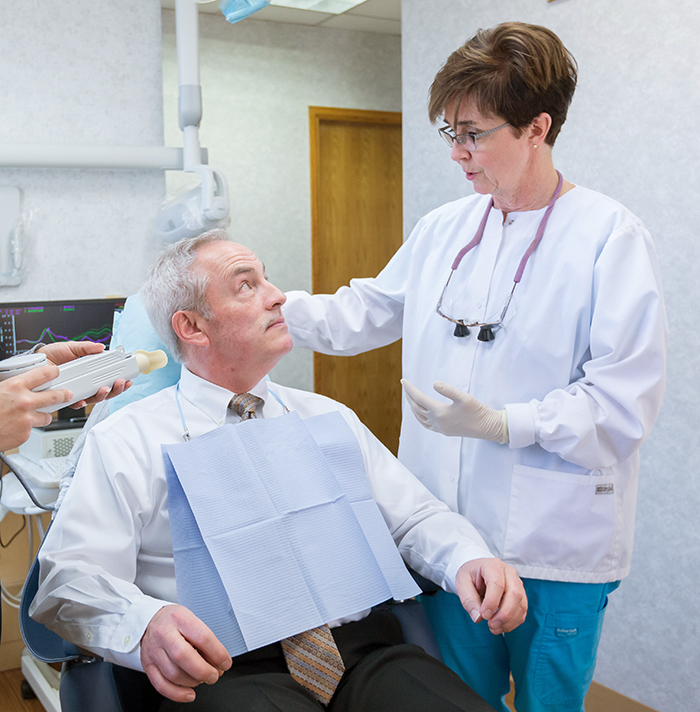 After oral sedation, most patients remember little, if anything, about their dental appointment. Dr. Carter works with a nurse anesthetist to provide IV sedation in our office as well. Patients with high fear or anxiety, or those who want multiple or lengthy procedures completed in a single visit, often benefit from the comfortable experience IV sedation provides. As a cosmetic dentist, Dr. Carter can give you a new smile and a new image with custom-made porcelain veneers. Before designing veneers for you, Dr. Carter will assess your oral health, talk with you about your ideal smile, and design a plan for veneers that will complement your skin tone, facial shape, and features. Dr. Carter offers in-office and take-home teeth whitening, so you can choose the solution that suits your goals and lifestyle. 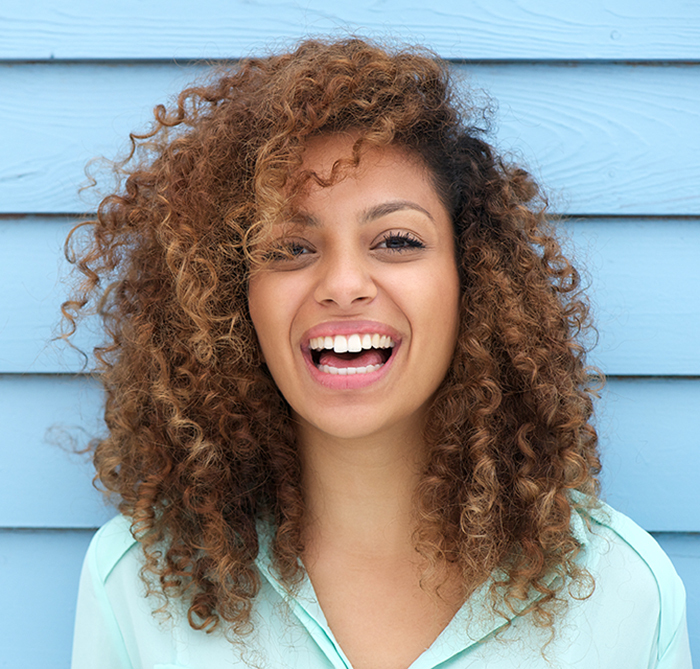 After just one chairside teeth-whitening visit, you’ll enjoy a dramatically brighter smile. If you prefer to whiten your teeth gradually, ask about our professional, home teeth whitening treatment. Dr. Carter often recommends cosmetic bonding and/or contouring to correct dental imperfections like chips, gaps, and slightly misshapen teeth. Bonding involves adding composite resin to a tooth that needs more structure, such as in the case of a chip or a gap between teeth. For contouring, Dr. Carter removes tooth structure. This procedure can improve the appearance of sharp, uneven, or jagged teeth. Contouring removes unsightly edges to create a straight, attractive line.